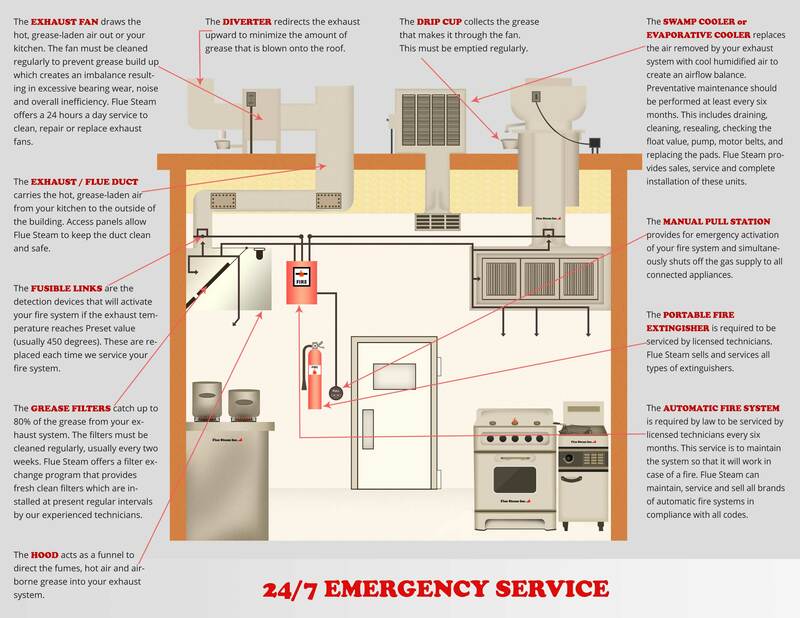 Over several decades in the business, Flue Steam has constantly added to its arsenal of fire safety services for commercial kitchens. In addition to preventative cleaning services, we also provide services to help you deal with fires if they do flare up in the kitchen. We sell all types of portable fire extinguishers, and we can help you select the types of extinguishers that are right for you. We can even help you decide how many to buy and where to place them, in compliance with relevant fire safety codes. Trust our licensed technicians to service your portable fire extinguishers, and rest assured that they will be in perfect working order if you should ever need to use them. Plus, you’ll get the peace of mind of knowing you have complied with the law by getting licensed service.